Life is like a garden, you never know what you’re going to get! I love my little old man tomato, and the family that came before him (one of his uncles had a big chin!) It is fun to go out and see each day’s offerings and sometimes pick oddly shaped vegetables from our garden. Even if my garden doesn’t have something, 9 times out of 10 I can just drive down the road and someone will have their pickup truck pulled over on the side with an overabundance of something their garden produced. Having a garden is so tricky, at least for me. Like photography and having to figure out the difference with ISO’s, aperatures, etc… to get the proper light for a photo, gardening varies so much because of the weather. This year, we’ve had a lot of both rain and sunshine, yet I’m still struggling with growing some things like my tomatoes. 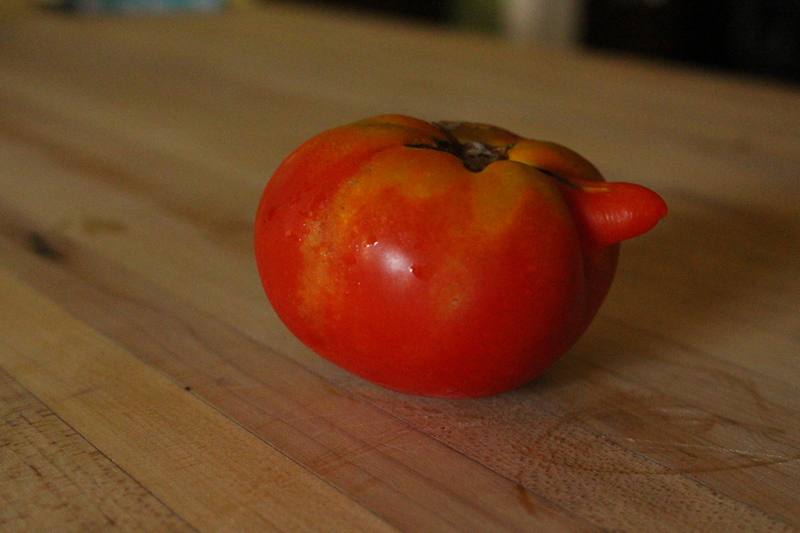 Tomato seasons seem to either be feast or famine, but this year, I have an abundance of them; they just don’t seem to grow to their normal size, or if they do, look like Grandpa Beefsteak above. I’m not a big fried chicken person, but Jewish fried chicken??? I might have to try that! What if we changed the way we looked at time?